On Thursday, April 11th, 2019 at 6:30 pm, join the Harvard Alumni Architectural and Urban Society for a lecture and book reading of Alexander’s Eye and Ganga’s Descent with Professor Dilip da Cunha. Dilip da Cunha integrates history, art, cultural studies, hydrology, and geography to tell the story of how rivers have been culturally constructed as lines granted a special role in defining human habitation and everyday practice. What we take to be natural features of the earth's surface, according to da Cunha, are products of human design and a particular way of seeing that has roots stretching as far back as ancient Greek cartography. Although Alexander the Great never saw the Ganges, he conceived of it as a flowing body of water, with sources, destinations, and banks that marked the separation of land from water. This Alexandrine view of the river, da Cunha argues, has been pursued and adopted across time and around the world. With ever more sophisticated mappings of its form and characteristics, the river's essential features are refined and standardized: its source identified by a point; its course depicted as a stroke; and its propensity to flood imagined as the erasure of the boundary between water and land. While da Cunha's vision of rivers is a global one, he takes an especially close look at the Ganges, as he traces the ways in which it has been pictured, mapped, surveyed, explored, and measured across the millennia. He argues that the articulation of the river Ganges has placed it at odds with Ganga, a "rain terrain" that does not conform to the line of separation, containment, and calibration that are the formalities of a river landscape. By calling rivers into question, da Cunha depicts an ecosystem that is neither land nor water but one of ubiquitous wetness in which rain is held in soil, aquifers, glaciers, snowfields, building materials, agricultural fields, air, and even plants and animals. "The Invention of Rivers is a radical and timely book that will stimulate considerable debate on matters of the greatest contemporary urgency." "A highly original argument and extraordinary piece of scholarship that comes at a time when rain is behaving unpredictably and challenging humanity's attempt to contain it within banks. It offers an alternative way of thinking about our relationship with the hydrological cycle and of living with wetness." Doors will open at 6:00 PM and the reading will begin promptly at 6:30. The reading will be followed by a reception with complimentary drinks and light snacks. Dilip da Cunha is an architect and planner. He is co-director of the Risk and Resilience program at the Graduate School of Design, Harvard University, and Adjunct Professor at the GSAPP, Columbia University. He is author with Anuradha Mathur of Mississippi Floods: Designing a Shifting Landscape (2001); Deccan Traverses: The Making of Bangalore’s Terrain (2006); Soak: Mumbai in an Estuary (2009); and Design in the Terrain of Water (2014). 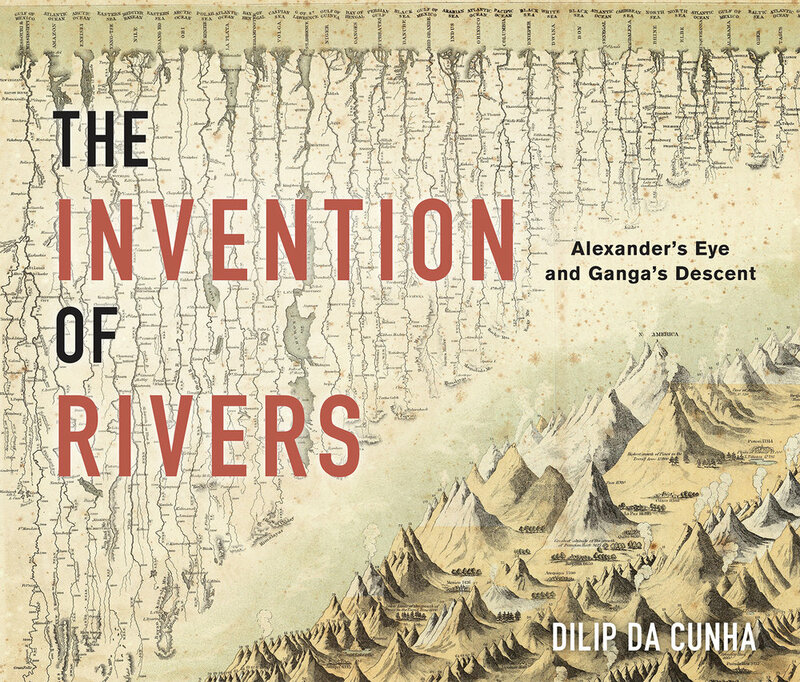 His new book, The Invention of Rivers: Alexander’s Eye and Ganga’s Descent, was just published by the University of Pennsylvania Press (www.upenn.edu/pennpress/book/15913.html). In 2017, da Cunha along with Anuradha Mathur received a Pew Fellowship Grant in recognition of their collaborative work. They are currently working on a multimedia exhibition titled The Ocean of Rain. Special thanks to Grimshaw Architects for lending us their event space.